Beets are one of my favorite vegetables out there. I happen to be the only one in my family that enjoys them but I decided to grow them in my garden this year. They were easy to grow and I pulled up my first few this weekend after getting back from vacation. I have never prepared beets before. I usually get them in a can, but this is so much healthier! Also grew them organically so no chemicals! After pulling the beets out of the garden, I trimmed off the leaves except for about an inch at the top. I left the root on the bottom and then scrubbed the beets with water. 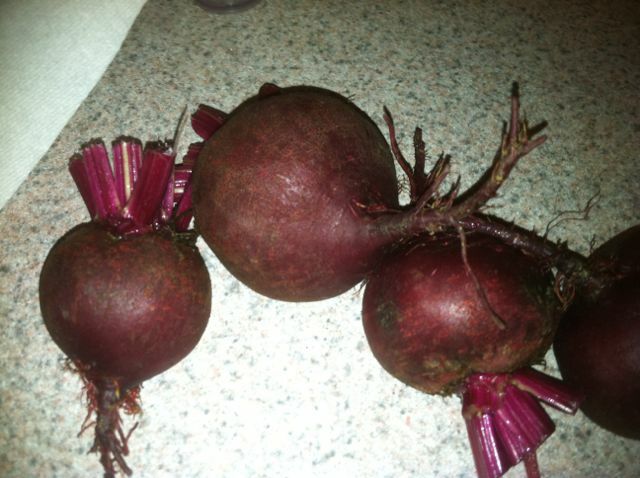 I then placed the beets in a pan of boiling water and boiled them for approximately 30 minutes. 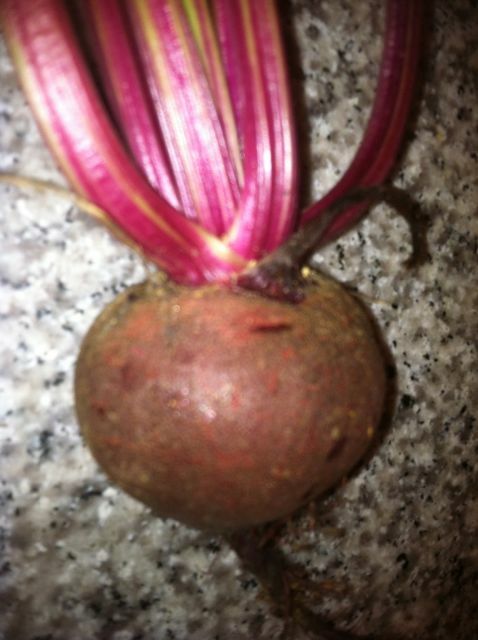 The cooking time will vary based on the size of your beets. At the end of the cooking process, I removed the beets and placed them in a bowl of ice water. This makes it easier to peel the skins and also makes them easier to touch. I took each beet and rubbed the skin off, cut the tops and bottoms off and then sliced them. Make sure you wear clothes you don’t mind staining as beet juice does stain. With this batch, I put them in the freezer to fix later on. The beets will last in the freezer for at least 12 months, but you want to make sure you have them packaged in either vacuum bags or sealed well in freezer bags. Beets are so flexible that you can use them in many different ways. You can pickle them to use on salads in the winter when the blahs of winter hit or you can prepare them as Harvard Beets which is my personal favorite. Harvard Beets combine beet juice, sugar, vinegar, butter, and cornstarch to make a sweet and tangy sauce that you cook the beets in. Yum! Don’t be afraid of beets – they are an excellent source of iron and can be extremely tasty!